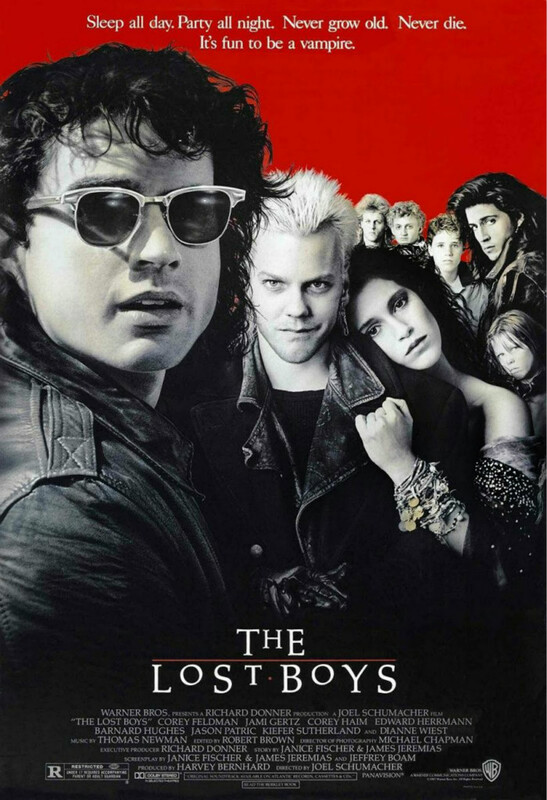 The Lost Boys is a 1987 American horror comedy film about two Arizona brothers who move to California and end up fighting a gang of young vampires. The film was followed by two direct to video sequels, Lost Boys: The Tribe and Lost Boys: The Thirst. The font used for the film title in the poster is very similar to Palatino Medium. For the font used for the film titles of its two sequels, it is Requiem Regular, an old-style serif typeface designed by Jonathan Hoefler.